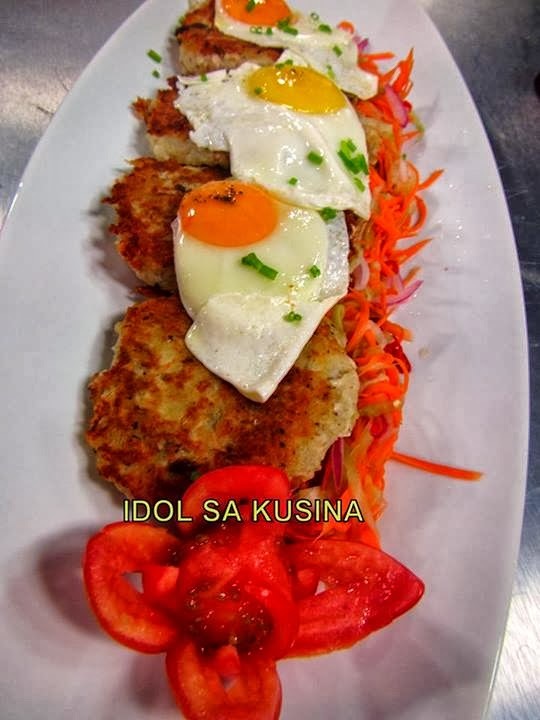 Here's Idol sa Kusina Recipe for Sept. 29, 2013-TINAPA FISH CAKES & SPICY VEGGIES. Mix together the smoked fish and mashed potato. Season with salt and pepper. Stir in the beaten egg. Divide the mixture into portions. Form each portion into a patty set aside. 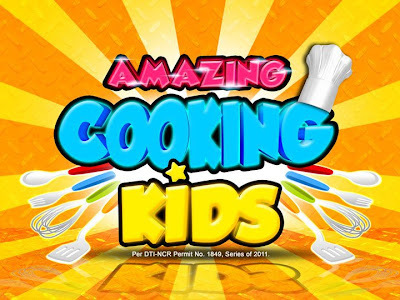 Heat a frying pan. Melt butter. Fry one potato cake at a time, cook fish cakes over medium-high heat to brown both sides. 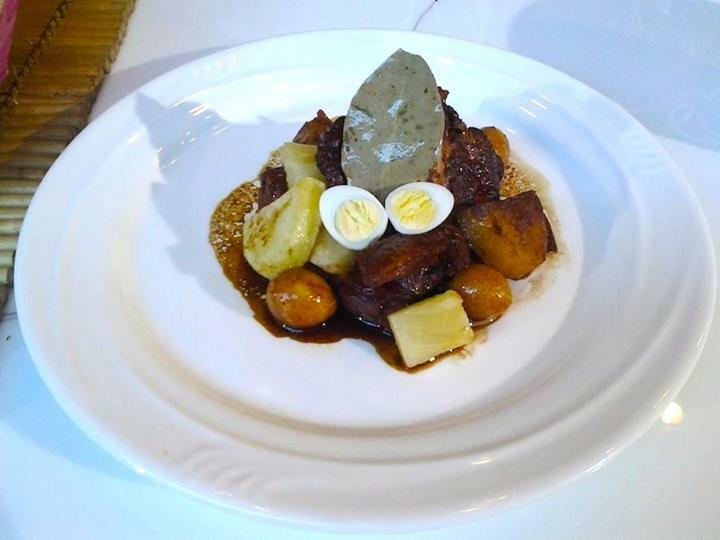 To serve: Place tinapa cake on a plate. Top with a fried egg. Sprinkle with onion leaves and toasted garlic bits. Combine all the ingredients in a bowl and chill for 4-5 hours. 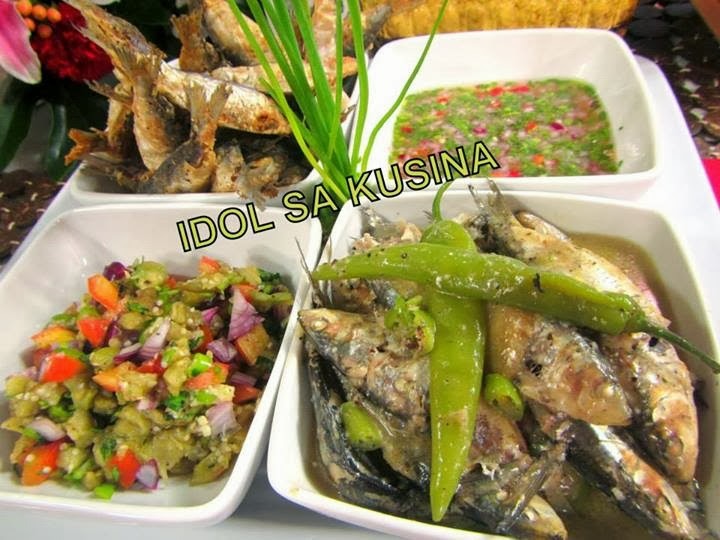 Here's Idol sa Kusina Recipe for Sept. 29, 2013-TAWILIS DUO - GINATAANG TAWILIS & FRIED TAWILIS WITH ASSORTED DIPS. - Combine all the ingredients in a bowl and set aside. 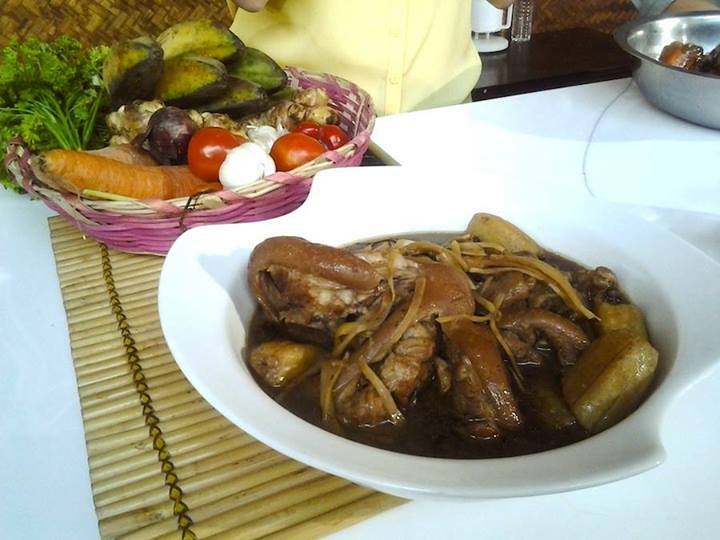 Here's Unang Hirit Kitchen Hirit Recipe of the Day- September 25, 2013: Sweet and Saucy Sarciadong Manok with Chef Duy Baltazar. 1. I-prito ang chicken wings hangang maluto ito. 2. Igisa ang bawang at sibuyas. Isabay na ring ilagay ang tomato paste. 3. Ihalo ang kamatis at patatas. Isama na rin ang paminta, bayleaf, chicken wings na prito at green peas. 4. Timplahan ito ng patis, asin at paminta. Hayaang kumulo at maaari ng ihain. 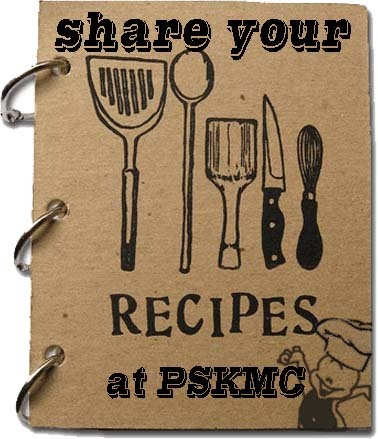 Kitchen Tips-Defrost food before you bake or microwave it. Defrost food before you bake or microwave it. 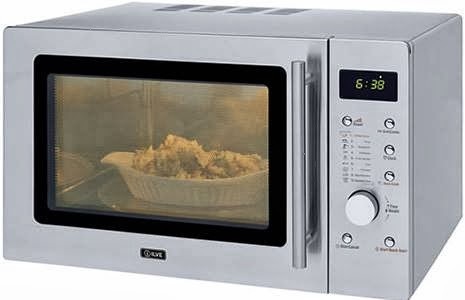 This uses 1/3 less energy than if you bake food that was still frozen. 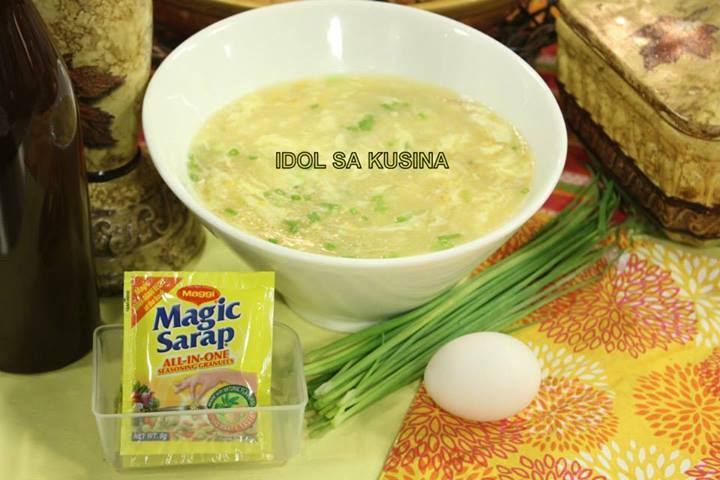 Here's Unang Hirit Kitchen Hirit Recipe of the Day: Lugaw con Palabok with Chef Xenia Pangalinan Aquino. 1. Initin ang mantika sa soup pot. 2. Igisa ang sibuyas hanggang sa maging translucent ang kulay nito. 3. Idagdag ang bawang at ihalo ito hanggang sa maging golden brown ang kulay. 5. 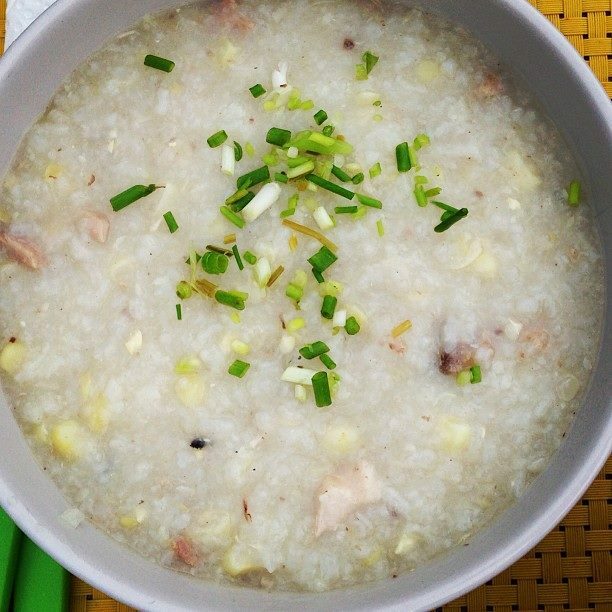 Isama ang glutinous rice at pakuluin hanggang sa maging malapot ang lugaw. 6. Pwede ring maglagay ng stock kung nanaisin. 7. Rikaduhan ng fish sauce at ground pepper at ihalo sa annatto oil para mapanatili ang pagiging kulay orange nito. 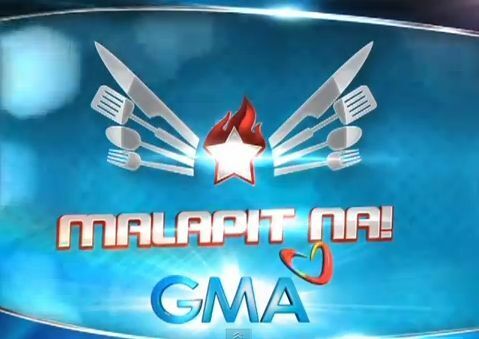 Here's Idol sa Kusina for Episode 110/Sept. 22, 2013- MILKY AVOCADO WITH TAPIOCA. 1. Place tapioca in glasses and set aside. 2. Put the rest of the ingredients in a blender and blend until smooth. 1. Pour the water in a pot and bring to a boil. 3. When the meat is tender, remove from the pot and allow to cool. Reserve the stock. 4. Slice the boiled meat in cubes and set aside. 5. Place the oil in a pan then heat-up. Saute the onion, garlic, and ginger. 7. Add the soy sauce , 1 cup of stock, and star anise. Stir and then bring to a boil. 8. Put-in the sugar. Stir. 9. Add spring onions, salt and ground black pepper. Stir and then simmer until the sauce thickens, add slurry if needed. 1. In a mixing bowl, dissolve yeast in luke warm water, add salt, sugar and 2 ½ cups of all-purpose flour. 2. Beat thoroughly until you have the consistency of a soft sponge. 3. Cover with plastic wrap and let rise for 30 minutes. 4.Add shortening. Mix well, then add the remaining ½ cup of all-purpose flour. 6. On a flat surface, dust surface with flour and roll the dough to form a 2 inch roll. 7.Cut dough with a knife into 2×2 inch pieces. 8.Place on a tray, line with wax paper, and dust with flour. 9.Roll each piece into a ball and lay the onto a flat surface then dust with flour. 10.Using a rolling pin, flatten the dough. 11.Spoon about one spoonful of pares filling onto the center of the dough. 12.Pull edges of the dough together and twist together to secure. 13. Using wax paper cut in 4×4 inch pieces, place buns upside down. 14.Steam siopao for about 25 minutes and serve. 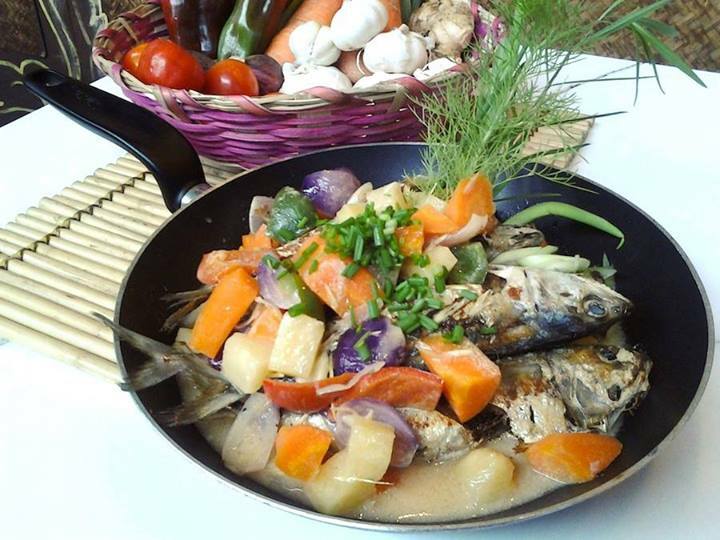 Here's Unang Hirit Kitchen Hirit Recipe of the Day- September 23, 2013: Hamazing na Hamanok with Chef Mar Michael Santiago. 1. 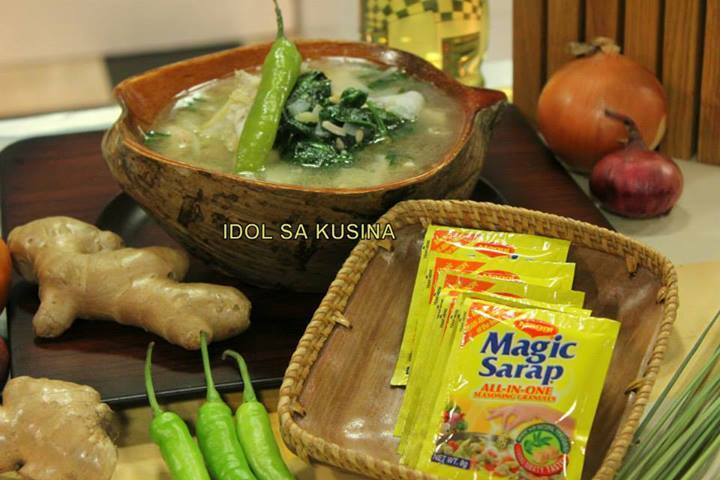 Paghalu-haluin sa isang lalagyan ang asin, pineapple juice, suka, asukal na pula, toyo, durog na paminta, bawang, sibuyas, star anise, pargue powder, cinnamon bark at cloves. 2. Pakuluan ang pinaghalu-halong sangkap ng 10 minuto hanggang sa matunaw ang asukal na pula at asin. 3. Hinaan ang apoy at ilagay ang isang buong manok. Pakuluan ito sa loob ng 30 minuto. 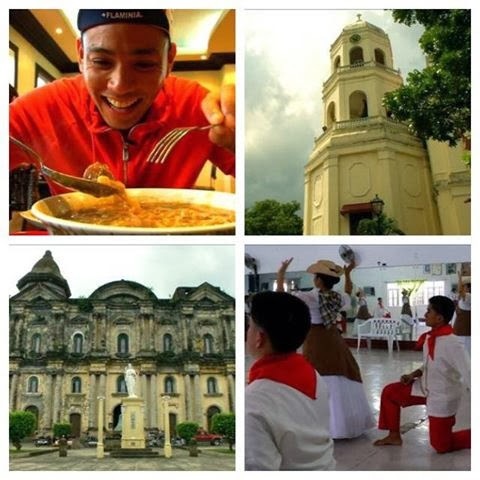 Biyahe ni Drew brings us the best of Batangas, on September 20 on GMA News TV! “The beauty of Batangas is that sobrang daming mapupuntahan. Pwede maging destination every weekend. It’s geographically convenient. That’s why ‘pag sinabi mong Batangas, fight ako.” -Drew Arellano. Video replay credit: GMA Nerwork. Embed only via YouTube. 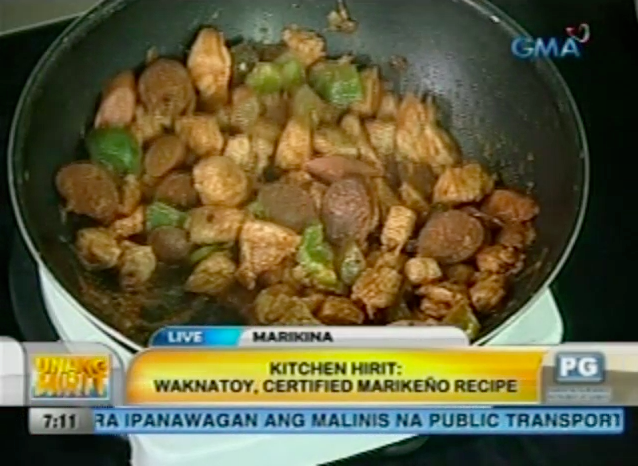 Here's Unang Hirit Kitchen Hirit Recipe of the Day: Adobong Bicol Express with Chef Michelle Adrillana. 2. Igisa ang luya. Igisa rin ang bagoong o shrimp paste. 3. Isunod na ang liempo hanggang maging brownish ang kulay at hanggang magmantika. 4. Ilagay ang siling panigang at ang labuyo. 5. Ilagay ang suka at hayaan itong kumulo. 6. Ihalo ang coconut milk at kakang gata. 7. Timplahan ng patis at paminta. Here's Unang Hirit Kitchen Hirit Recipe of the Day-September 19, 2013: Chicken Asado with Sunshine Dizon. 1. Timplahan ang mga piraso ng manok ng asin at paminta. 2. Sa isang kawali, iprito ang tinimplahang manok at saka itabi. 3. Sa hiwalay na kawali, igisa ang sibuyas sa butter. 4. Idagdag ang dahon ng laurel at hayaang maluto sa loob ng isang minuto. 5. Ilagay ang tomato sauce at muling pakuluin. 6. Dagdagan ng toyo at lemon juice. Haluin ito hanggang sa mag-combine ang lasa. Pakuluin sa loob ng 5 hanggang 7 minuto. 7. Isama ang mga prinitong manok sa sarsa at muling pakuluan ng 10 minuto. 8. Ihalo ang hiniwang patatas at muling pakuluin ng 7 hanggang 12 minuto. The Bureau of Internal Revenue revealed the latest Tax Watch ad from the Department of Finance and the Bureau of Internal Revenue. The goal of this campaign is to increase transparency on tax payments and to encourage people to be conscientious in paying the right taxes. 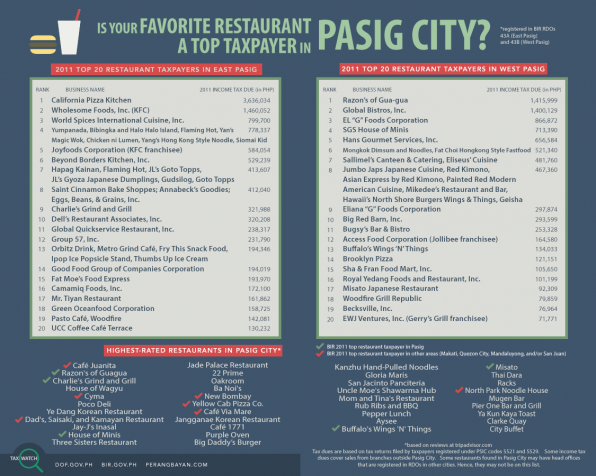 Featured today is the list of top restaurant taxpayers in Pasig City. According to Official Gazette, updates will be published every week in major newspapers and in the Department of Finance and Pera ng Bayan websites. Former Kapamilya star from Star Circle Quest, turned-Korean popstar Sandara (Dara) Park spotted enjoying the famous Pinoy fastfood meals in New York City. The 28-year-old 2NE1 member posted on her official Twitter @krungy21 account a photo of her carrying bags full Jollibee meals while standing beside the fastfood chain's mascot. "Nakapunta ako sa jollibee sa new york!!! Akala ko sa phil. ako, nag order ako in tagalog.. D nya ako naintindihan!" 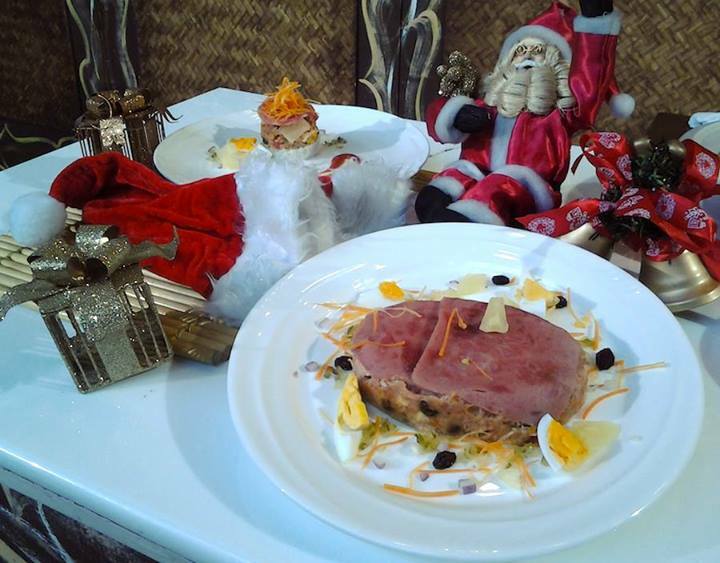 Unang Hirit Kitchen Hirit Recipe of the Day: Christmasarap na Hardinera with Chef Jan Co.
1. Ilaga ang dalawang itlog at itabi. 2. Ihalo ang mga ginisang bawang, sibuyas at hotdog sa mga natitirang sangkap at ilagay sa llanera. 3. I-steam ng 30 minuto hanggang sa isang oras. with Chef Roger James Madrigal. 1. Igisa ang tausi, bawang, kamatis at tambakol. 2. Lagyan ito ng suka at brown sugar. 3. Palaputin ang cornstarch hanggang sa maging water "slurry." Timplahan ng asin at paminta. 4. Palamigin at ilagay sa bote. Here's Unang Hirit Kitchen Hirit Recipe of the Day- September 16, 2013: Waknatoy with Irma San Miguel. 1. I-marinate sa kalamansi, toyo at paminta ang karne ng baboy. 2. Igisa ang bawang, sibuyas at ang na marinate na karne ng baboy. 3. Ihalo ang tomato sauce o tomato paste, pickles, bell peppers, sausages, chorizo, at cheese. 4. Hintaying lumambot ang karne. 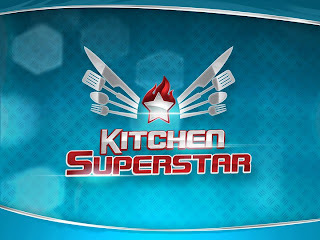 Here's Idol sa Kusina for Episode 109/Sept. 15, 2013- ORANGE LEMON FIZZ. 1. Place everything in a blender and pulse. 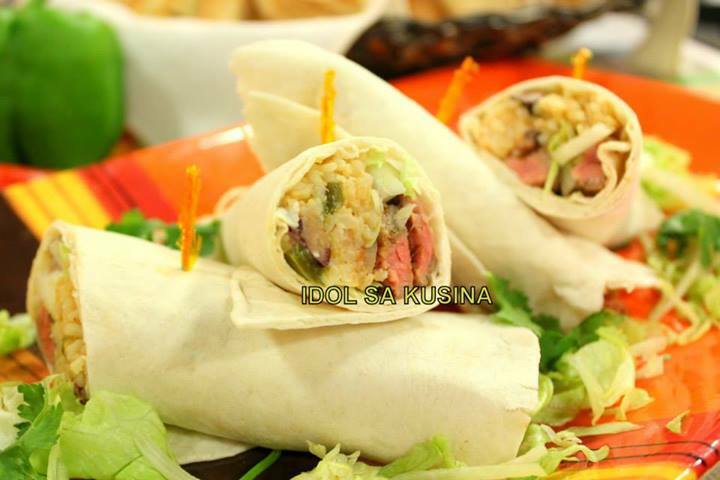 Here's Idol sa Kusina Recipe for Episode 109/Sept. 15, 2013- STEAMED CRAB WITH CURRY DIP AND SPICY TOMATO RELISH. 1. Place King Crab in a steamer and top with sliced lemon. 2. Steam for 6-10 minutes or until cooked. 3. Cut into portion sizes, garnish with parsley and serve with curry dip and tomato relish. 1. In a bowl, combine all the ingredients together until light and fluffy. 2. Serve with steamed King Crabs. 1. In a food processor, place all the ingredients and pulse. Serve with King Crab. Here's Idol sa Kusina for Episode 109/Sept. 15, 2013- MAGIC CRAB & CORN SOUP. 1. Pour water into a pot and bring to a boil. Add corn and simmer for 1 minute. Season with MAGGI MAGIC SARAP. 2. Add crab meat and bring to simmer. Check seasoning. Slowly pour slurry (cornstarch dissolved in water) while stirring to thicken the soup. 3. Slowly pour beaten egg while gently stirring to create strands of egg. Immediately remove from heat and stir in spring onion and sesame oil. Transfer into a serving bowl and serve hot. 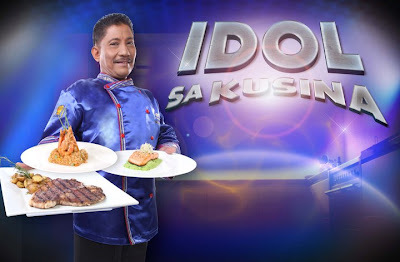 Here's Idol sa Kusina for Episode 109/Sept. 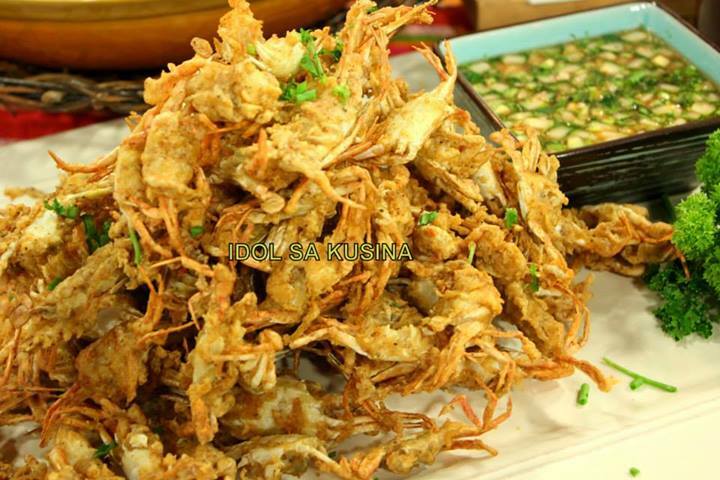 15, 2013- DEEP-FRIED CRABLETS WITH VINEGAR DIP. 1. Heat oil in a deep fryer to 365 degrees. In a bowl, whisk together the egg and milk. In a separate bowl, stir cayenne, paprika, salt and pepper into the flour. Lightly salt the crab, then dip in the flour, dip in the egg, then in the flour again. 2. Carefully place crabs into the deep-fryer. Cook for 1 to 2 minutes, or until golden brown on one side. Carefully turn over, and cook until golden on the other side. Drain on paper towels. Garnish with spring onions and set aside. 3. 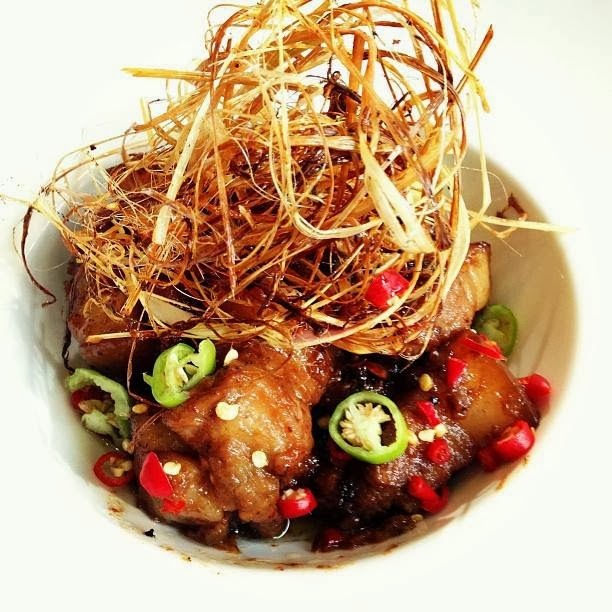 For the vinegar dip, combine the first four ingredients in a small pan over medium heat and heat gently until sugar is dissolved and chili paste is mixed. 4. Remove from heat and pour into a bowl. 5. Stir in the garlic, spring onion, coriander, lime juice and the cucumber and serve immediately. 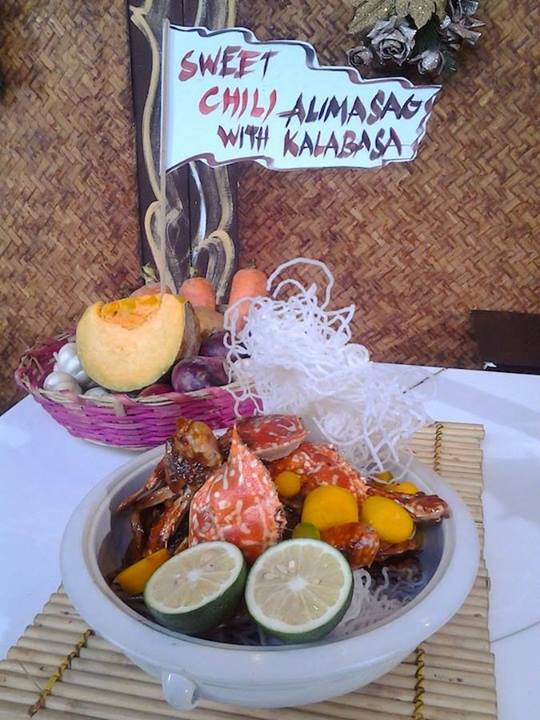 Here's Unang Hirit Kitchen Hirit Recipe of the Day- September 13, 2013: Sweet Chili Alimasag with Kalabasa with Chef Red Agustin. 1. Ilaga ang alimasag sa lemon-lime flavoured soda. 2. Gisahin ang bawang at sibuyas sa mantikilya. 3. Dagdagan ng sweet chili sauce, oyster sauce at tubig. 4. Ilagay ang kalabasa at alimasag. 5. Pakuluan ito saka pigaan ng dayap. 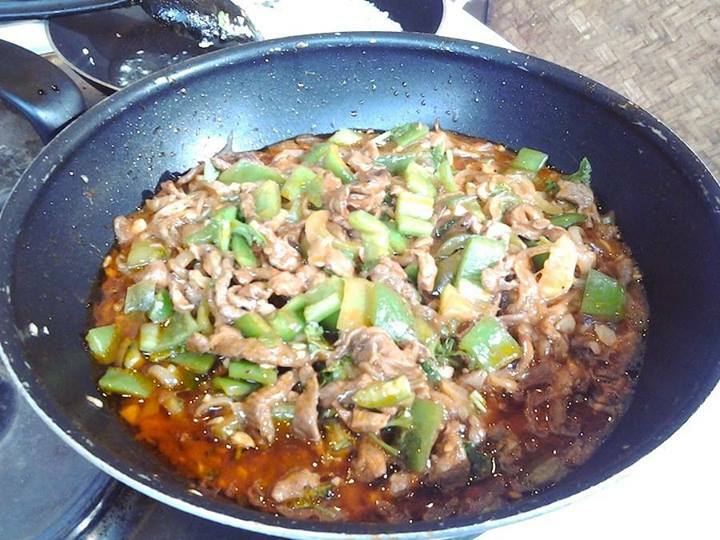 Here's Unang Hirit Kitchen Hirit Recipe of the Day- September 12, 2013: Bistek Picado with Nancy Reyes-Lumen. 1. Hiwain sa maliliit na piraso ang baka. 2. Igisa ang karne ng bakang hiniwa sa maliliit na piraso. 3. Sunod na ilagay ang tomato sauce, sibuyas, at bell pepper. 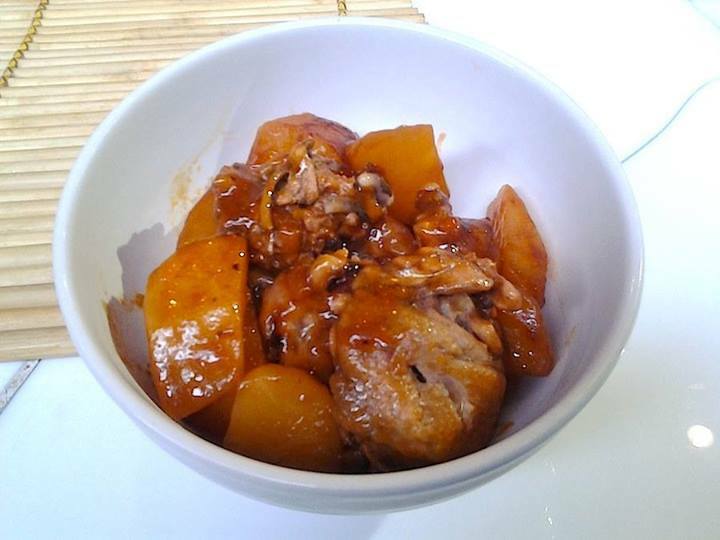 Unang Hirit Kitchen Hirit Recipe of the Day: Chicken Pineapple Adobo with Chef Kelly Pareno. 1. Ibabad ang manok sa pineapple juice o kaya sa suka, toyo, hiniwang sibuyas, dinurog na bawang at asukal ng 30 minuto. 2. Sa mainit na kawali, prituhin ang mga patatas. Itabi. 3. Sa parehong kawali, i-sear ang ibinabad na manok. 4. Ilagay ang pinag babaran ng manok at dahon ng laurel, pakuluan. 5. Ilagay ang mga nilagang itlog at patatas. Pakuluan sa loob ng 5 minuto. 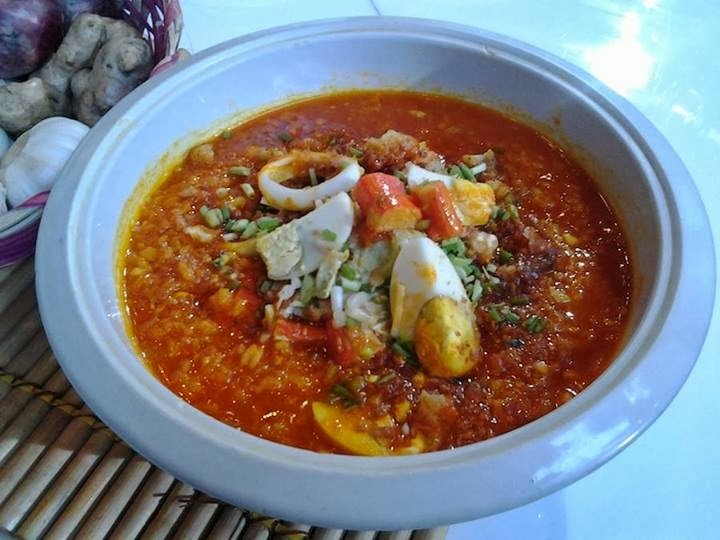 Here's Unang Hirit Kitchen Hirit Recipe of the Day- September 9, 2013: Arroz Caldo Con Mais with Chef Boy Logro. 1. Pakuluan ang mais at bigas sa tubig o chicken stock hanggang lumambot. 2. 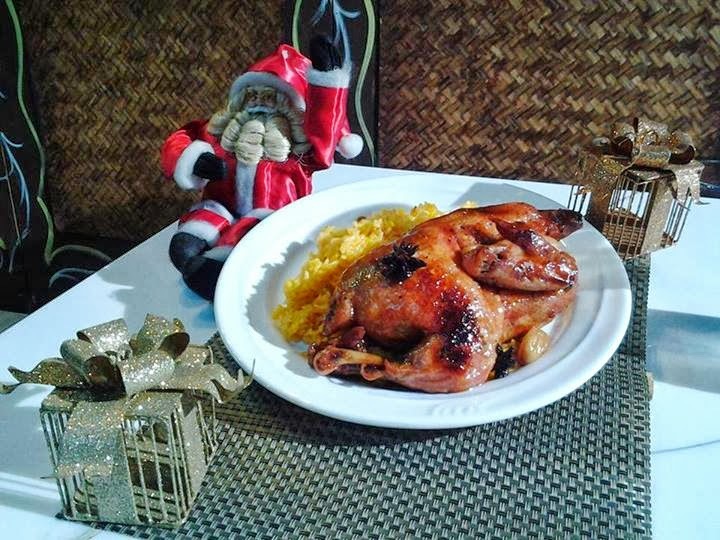 Igisa ang manok na napakuluan na kasama ang luya at sibuyas tagalog. 3. Isama ang nagisang manok sa pinakuluang mais at bigas. Haluin nang mabuti upang hindi mamuo. 4. Timplahan ng asin at paminta ayos sa panlasa. 5. Hintaying lumapot ang arroz con mais. 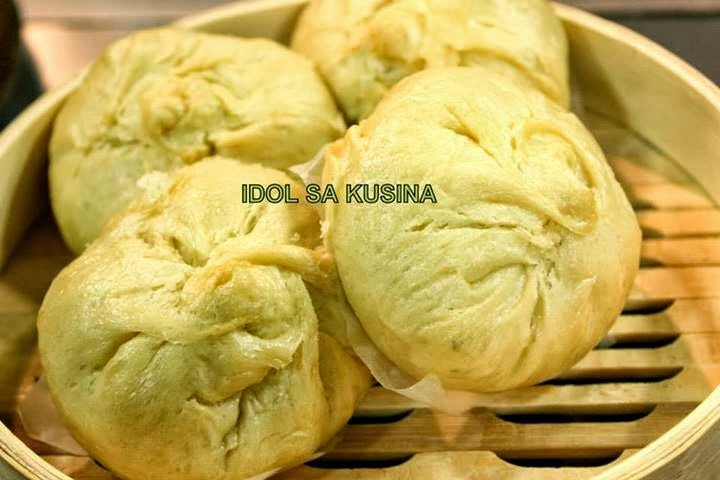 Here's Idol sa Kusina Recipe for Episode 108/Sept. 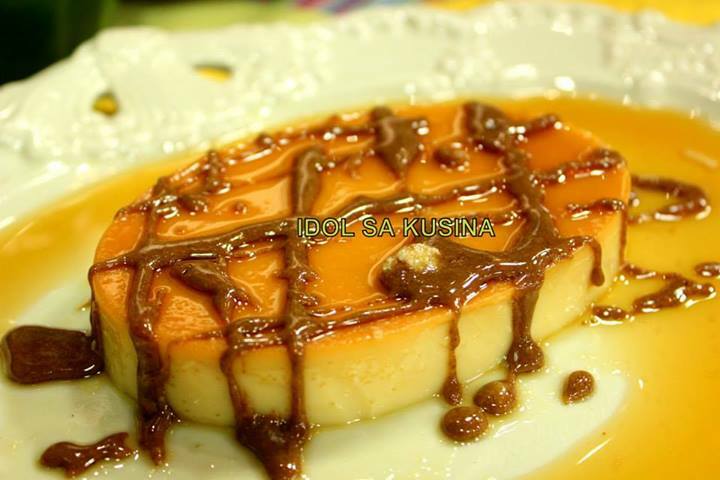 8, 2013- COFFEE-CHILI LECHE FLAN. 1. Beat the egg yolks in a big bowl and add the condensed milk and mix. 3. Put-in the granulated sugar, coffee and chili powder on a pan and mix thoroughly until it turns into a caramel. Pour into llanera. Set aside. Reserve the extra caramel for drizzling. 4. Wait for 5 minutes then pour the egg yolk and milk mixture on the mold. Cover the top of the mold with foil. Steam the mold with egg and milk mixture for 30 to 35 minutes. 5. Let it cool and transfer to a plate, drizzle with extra coffee-chili caramel. 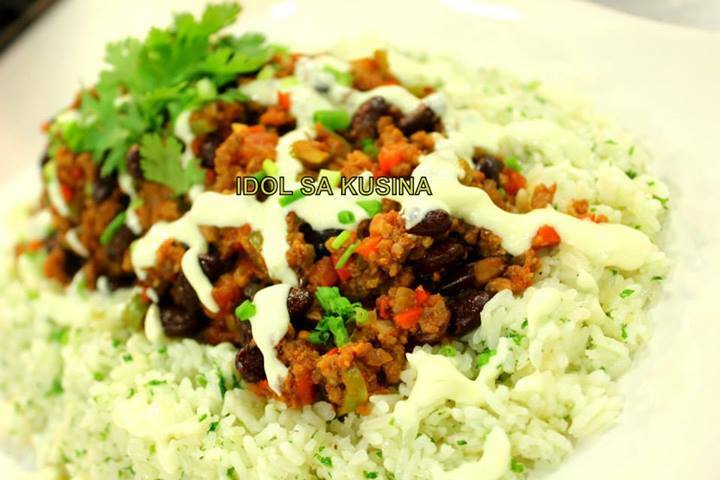 Here's Idol sa Kusina Recipe for Episode 108/Sept. 8 2013- BEEF BURRITO. 1. Season the sirloin with salt, pepper, oregano, chili powder, worcestershire and set aside. 2. Meanwhile, make the rice by sauteing onion, bell pepper, garlic in butter and oil. Then add cumin, tomato paste, beans and rice. Toss for a minute then add in the stock. 3. Bring to a boil and simmer until rice is cooked. Set aside. 4. For the beef, grill on both sides and slice thinly before assembling. 5. To assemble, place tortilla wrap on a board, then place the rice, top with the grilled beef, lettuce, onions, cilantro and a squeeze of lime before wrapping. 6. Serve with sour cream if desired. 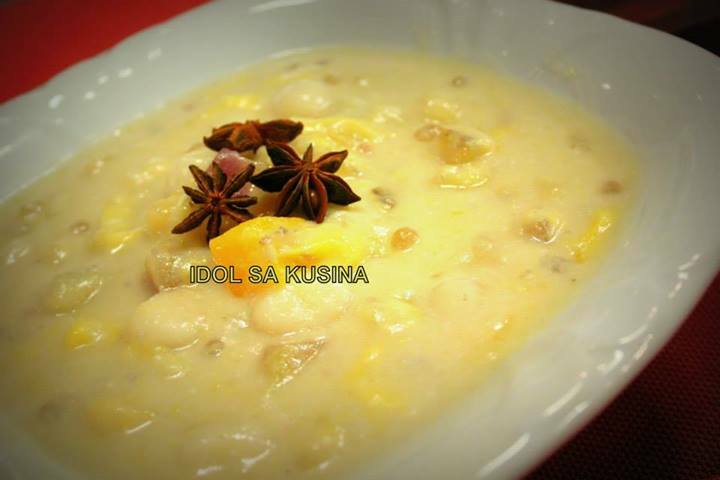 Here's Idol sa Kusina Recipe for Episode 108/Sept. 8 2013- SUPER SPICY CHILI CON CARNE. 1. Saute onion, garlic, finger chili and bell peppers in a pot. Add in chili powder, cumin and paprika. 2. Brown the beef, then add in worcestershire the chopped tomatoes, tomato paste, laurel leaves and stock. 3. Let it simmer then add the kidney beans until cooked. Lastly add in the butter and stir, adjust seasoning with salt, pepper, sugar. 4. Serve with herbed rice and top chili con carne with sour cream. 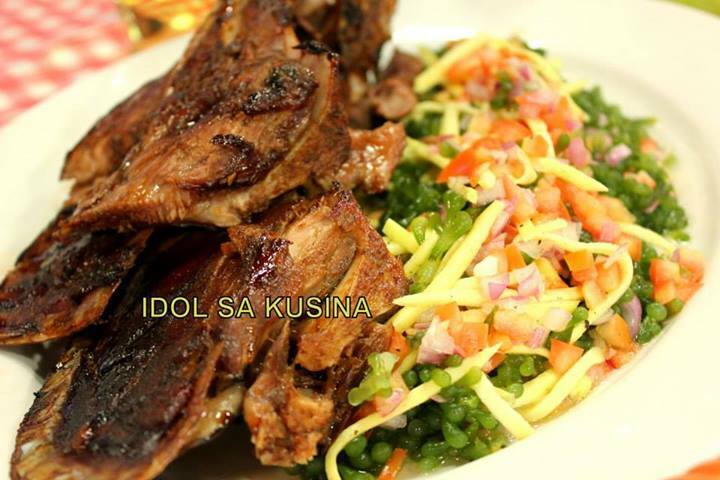 Here's Idol sa Kusina Recipe for Episodep. 108/Sept. 8 2013- BAKED THREE CHEESE NACHOS WITH GUACAMOLE. 1. In a hot pan, cook the bacon, add in the beef and spices. 2. Next, add the tomato paste, soy sauce, and season with salt and pepper. Cook until done. Set aside. 3. Assemble the nachos, place the chips, then beef and vegetables, next the cheeses and repeat another layer. Place in an oven until cheese melts and garnish with cilantro or spring onions. 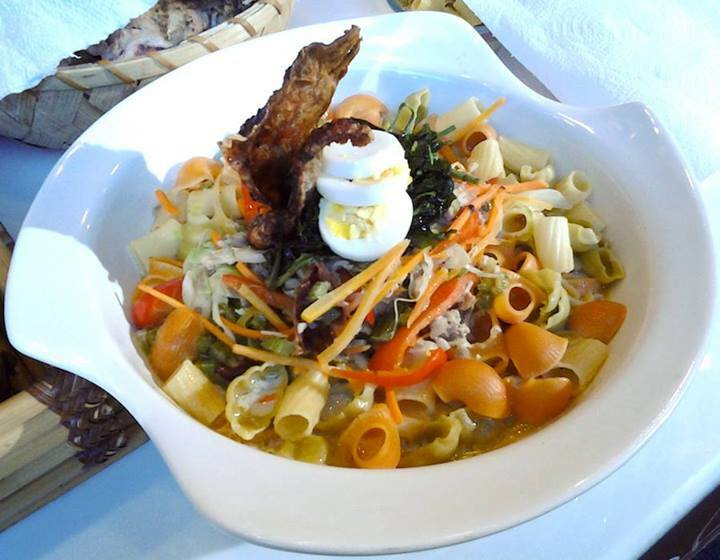 Here's Unang Hirit Kitchen Hirit Recipe of the Day- September 6, 2013: Sopas con Lechon with Chef Brooke Enriquez. 1. Initin ang kawali at ilagay ang butter, hayaan ito matunaw. 2. Idagdag ang sibuyas at bawang hanggang sa maging malambot ang texture nito. 3. Ilagay ang celery, carrots at bell pepper. Saute for 2-3 minutes. 4. Ilagay ang buto-buto at lechon flakes skin. Saute. 5. Idagdag ang tubig at pork cubes at pakuluan. 6. Lutuin ang noodles. I-set aside kapag luto na. 7. Ibabad sa tubig ang repolyo ng 10 segundo. Set aside. 8. Pakuluin ang itlog. Set aside. 9. Lagyan ng garnish kung gugustuhin at ihain. Avon's New Make-Up Collection include Ultra Color Lipstick, Ultra Glazewear Lip Gloss, and True Color Eyeshadow Quad shades that reveal the most eye-popping colors, most brilliant shine, and most captivating lips. Anne Curtis, is one of the Philippines' beautiful faces and is an absolute crowd darling (aminin nyo 'yan!). During the launch of Avon's New Make-Up Collection, Anne, the brand ambassador shared some of her beauty philosophy when it comes to make-up. 1. Linisin ang pata gamit ang asin, hugasan at patuyuing mabuti. 2. Prituhin ang pata hanggang maging brownish ang balat. 3. Ilagay ang pata sa yelo upang lumamig at kumulubot ang balat ng pata. 4. Ihanda ang isang kaserola na may tubig at ilagay ang lahat ng sangkap, isama ang pata. 5. Pakuluan hanggang sa maluto at lumambot ang balat. Catch IKEA Catalog on Android and iOS. 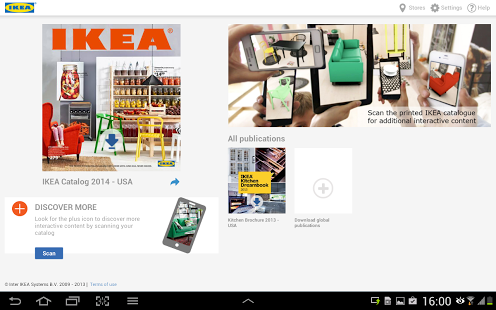 The digital IKEA catalog 2014 – for Android! Just like the printed IKEA catalog, the 2014 digital IKEA catalog is packed with inspiration, home furnishing knowledge and ideas for free. This year, there’s a special focus on ideas for creating a better everyday life for families with children. The catalog has around 300 pages, showing a selection of products from the total IKEA range. Through this application, you will also be able to download other publications from IKEA. Besides all the ideas and products that you will find by browsing the pages in the catalog, you will be able to access even more content with your smartphone or tablet. By scanning selected pages in the printed IKEA catalog, you can view films and 360° room sets, and get to know the stories behind the products. New this year is the ability to place selected furniture from the catalog in your own room! To access the extra content, just look for the plus (+) sign symbol on the catalog pages and start scanning. All extra content is accessible in the digital IKEA catalog, as well. The IKEA catalog was first introduced in 1951 and the first Android version was launched in 2011. 1. Linisin ang alumahan. I-marinate ito sa pineapple juice sa loob ng 15 minuto. 2. 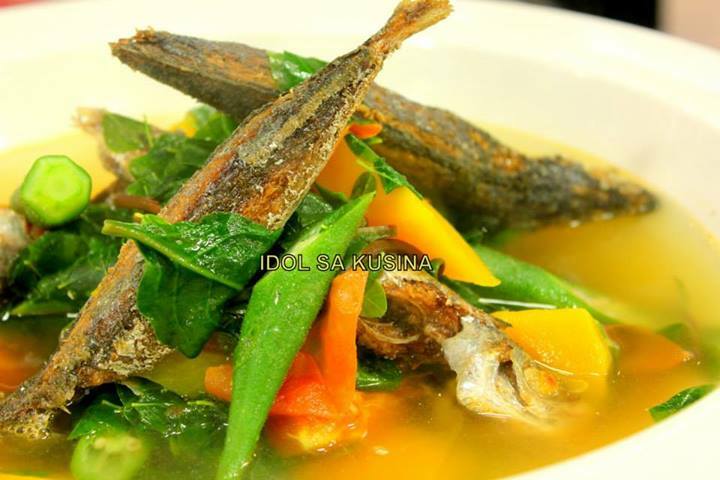 I-prito ang isda at itabi. 4. Lagyan ng patis, evaporated milk at pineapple juice. 5. Ilagay ang pineapple chunks at hayaang kumulo ng limang minuto. Ilagay ang isda. 6. Ilagay ang bell pepper at carrots. 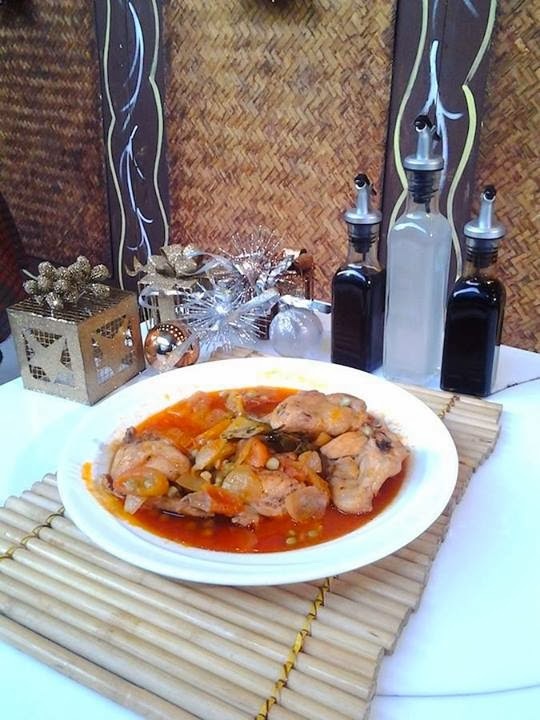 Here's Unang Hirit Kitchen Hirit Recipe of the Day- September 3, 2013: Estofadong Manok with Chef Trisha Fragante. 2. Iprito ang manok at i-set aside. 3. 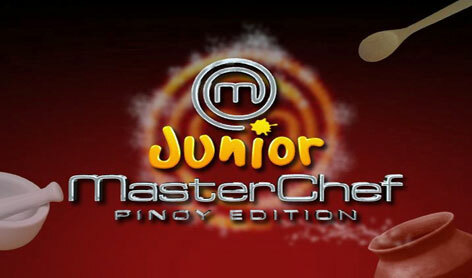 Igisa ang sibuyas,bawang at idagdag ang chorizo at pritong manok, ½ cup water at maging ang sauce ng marinade. 4. 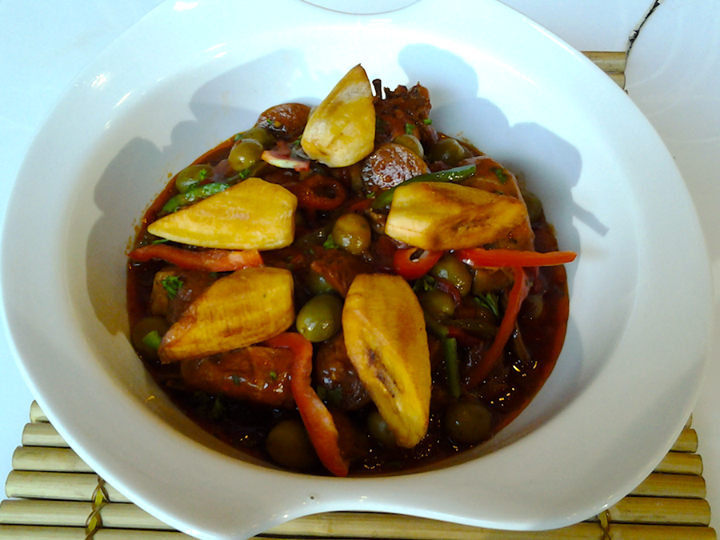 Ilagay ang tomato sauce, olives, red at green bell peppers at lutuin ng 5 minuto. 5. Alisin sa stove at lagyan ng pritong saba sa ibabaw at ihain. 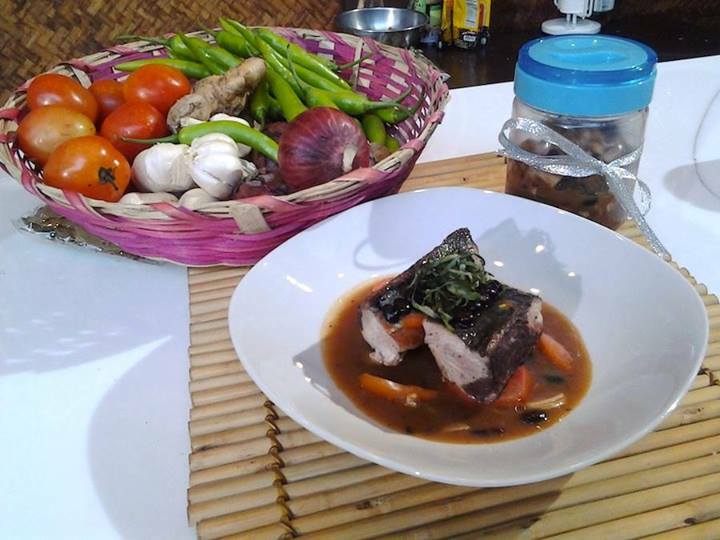 Here's Unang Hirit Kitchen Hirit Recipe of the Day: Bangus Hamonado with Chef Mitchie Sison. 1. Pag halu-haluin sa isang malaking bowl ang atsuete oil, bawang, lemon-lime flavored soda, pineapple juice, toyo, brown sugar, star anise, dahon ng laurel at paminta. Lagyan ng cloves ang bangus. 2. Ibabad ang bangus sa loob ng 30 minuto hanggang 1 oras. 3. Salain ang bangus at prituhin ang magkabilang side. Itabi. 4. Sa hiwalay na kawali, pakuluan ang marinade, idagdag ang tomato sauce at pineapple chunks. Timplahan. 5. Pakuluan ang sauce, dagdagan ng cornstarch kung kinakailangan. 6. Ihain ang bangus na nilagyan ng hamonado sauce at bok choy. 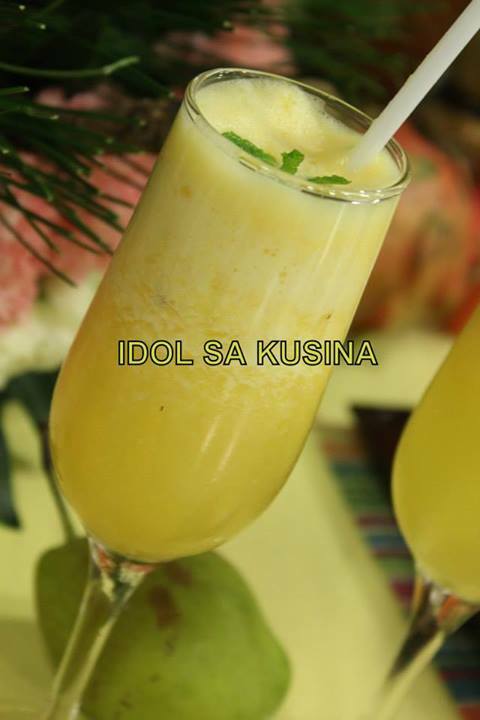 Here's Idol sa Kusina Recipe for Episode 107/Sept. 1- GINATAANG HALO HALO. 1. In a pot, combine coconut milk, water and sugar. Bring to a boil over medium heat, stirring occasionally to dissolve sugar. Lower heat to a simmer. 2. Add kamote and cook until tender but firm. Add bananas and cook for about 2 minutes. Add glutinous rice, sago and jackfruit and cook for another 2 to 3 minutes. Serve hot. 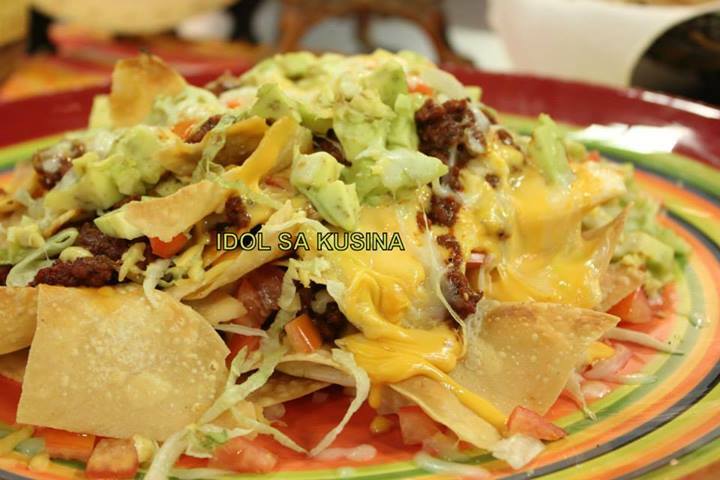 Here's Idol sa Kusina Recipe for Episode 107/Sept. 1- SINUGBANG PANGA NG BARILES. 1. Mix well sugar and soy sauce. 2. 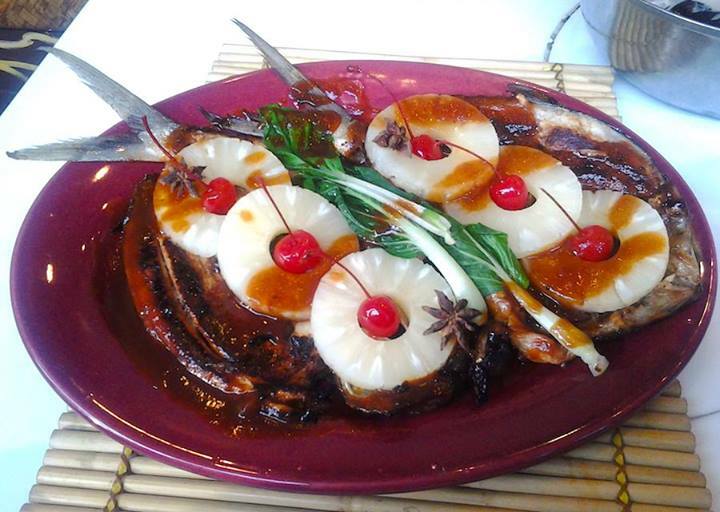 Grill panga. Open it and spread the mixed soy sauce and sugar all over until cooked. 3. Serve with hot rice. On a separate bowl combine vinegar, salt and sugar to make the dressing. Pour on lato salad just before serving. 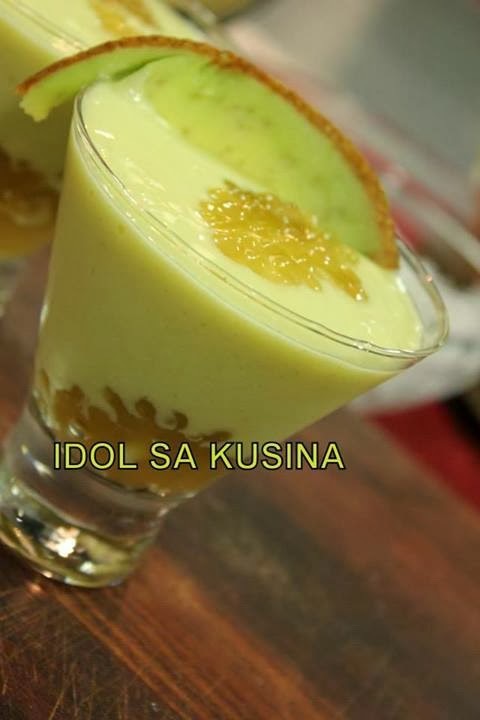 Here's Idol sa Kusina Recipe for Episode 107/Sept. 1- MAGIC CHICKEN BINAKOL. 1. Place chicken in a pot and pour water. Bring to a boil, skim the scum and simmer for 15 minutes. Strain chicken and cool. Reserve chicken stock. 2. Combine oil and garlic in a pot and sauté until golden brown. Add onion, ginger, lemongrass and siling panigang and sweat for 2 minutes. Pour reserved chicken stock and buko juice, bring to a boil skim the scum and bring to simmer. 3. Meanwhile, shred chicken and add to simmering broth. Season with MAGGI MAGIC SARAP. Check seasoning. Stir in chili tops and remove from heat. Transfer into a serving bowl and serve hot. 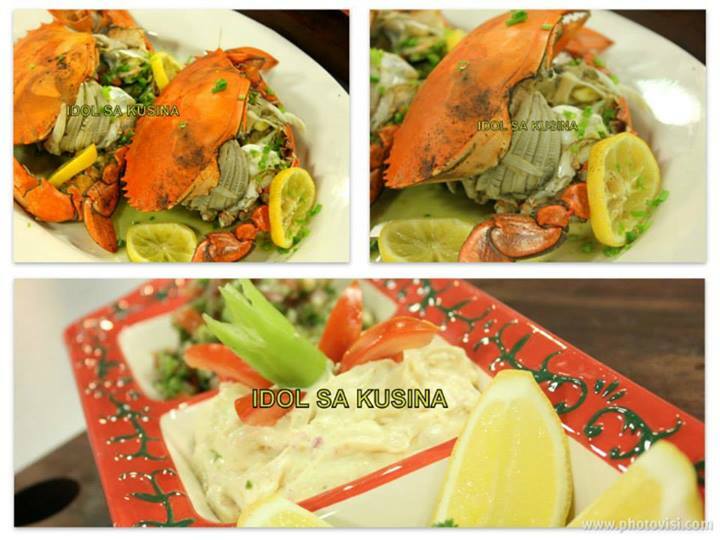 Here's Idol sa Kusina Recipe for Episode 107/Sept.1-LAW-OY - CEBU. 1. Fry fish in hot oil and set aside. 2. In a pot, bring water to a boil. When boiling, add the fish and lemongrass and simmer for a few minutes till broth becomes flavorful. 3. Add vegetables except malunggay and simmer till vegetables are cooked. 4. Season to taste with fish sauce then add the malunggay leaves last. Serve while hot. Catch Kapamilya hunk, Sam Milby is the fit and healthy cover star of Men’s Health magazine on its September 2013 issue. Inside Men’s Health September issue are topics like "Knock Out Fat!," "Get Race Ready," "Special Report: Why So Stressed?," "Defeat STDs Now!," "49 Best Beers for Men," "Look Better Instantly," among others. Men’s Health magazine September 2013 issue is now available at all magazine stands and selected bookstores nationwide. Catch Judy Ann Santos 'Slim Down Fast' covers of Women’s Health Magazine September 2013 Issue. Inside this month's issue of Women’s Health Philippines magazine includes "Drop a Dress Size: Simple Size Solutions," "Slim Down Fast," "Six Work Habits to Take You to the Top," "Banish Junk Food Cravings," and many more. Women’s Health Philippines magazine September 2013 issue is now available at all magazine stands and selected bookstores nationwide.